Be Larger than Life. Partner with Proforma. 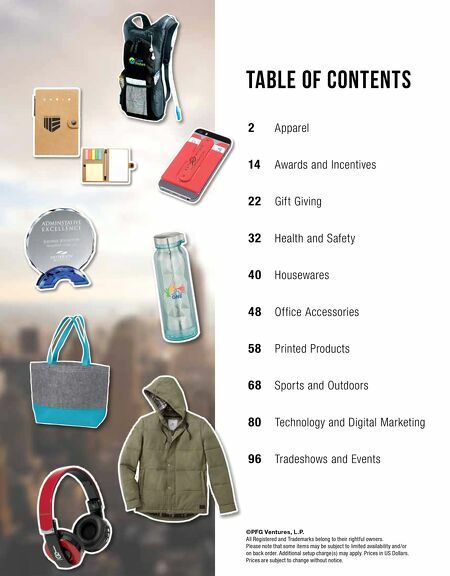 From the pen your client uses to close on their dream home to the water bottle clenched in its owner's hand as they cross the marathon finish line, the perfect promotional item can make these moments Larger than Life. With promotional branding, cheering on a child from a cushioned seat at their first Little League game or marking off the calendar days leading to a special trip, your company becomes entwined with these priceless moments. Growing your business requires Larger than Life marketing solutions, meaningful business relationships and creative efforts that aid in achieving your goals. 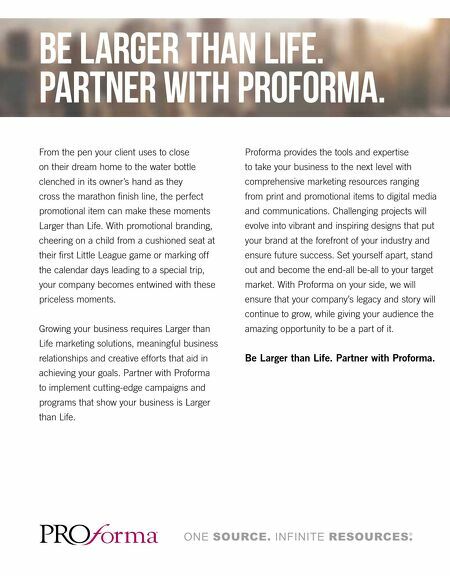 Partner with Proforma to implement cutting-edge campaigns and programs that show your business is Larger than Life. Proforma provides the tools and expertise to take your business to the next level with comprehensive marketing resources ranging from print and promotional items to digital media and communications. Challenging projects will evolve into vibrant and inspiring designs that put your brand at the forefront of your industry and ensure future success. Set yourself apart, stand out and become the end-all be-all to your target market. With Proforma on your side, we will ensure that your company's legacy and story will continue to grow, while giving your audience the amazing opportunity to be a part of it. Be Larger than Life. Partner with Proforma.